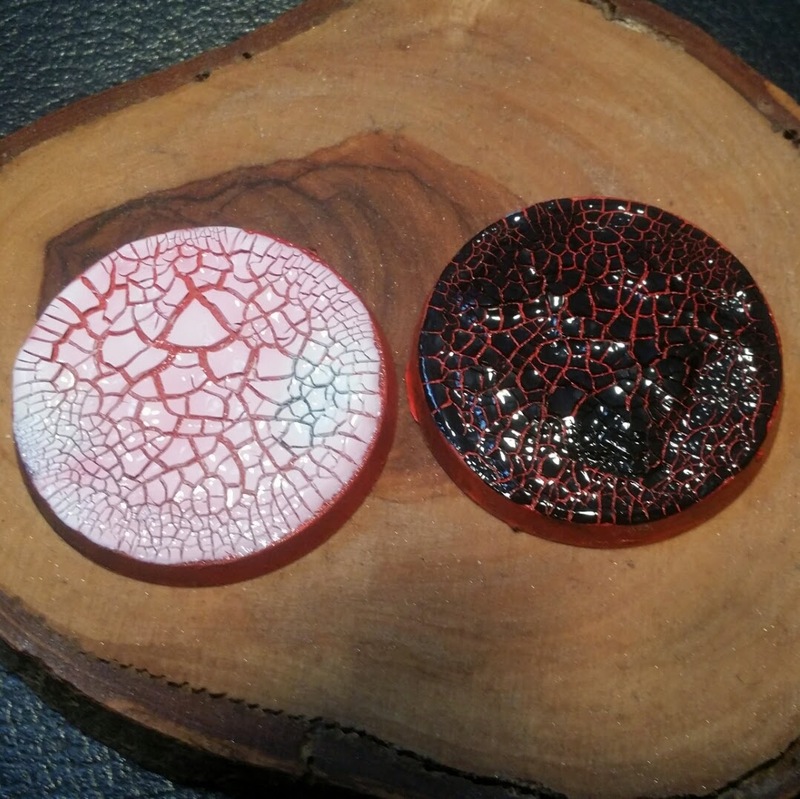 I'm looking for a cheap, easy way to make nice bases that can be easily magnetized. The last piece is key because I have started to put cut metal sheets to size and put them in the bottom of my foam trays. The amount of models you can fit standing up is astounding compared to what you fit lying them down in foam. So with that in mind I have stopped casting my bases, because they are a pain to magnetize. For a lot of my armies I use an ice them. Largely because Ice blue and white are really punch and easy to make look nice without being hugely detailed about it. I've found over the years, models on bright bases just seem to score better at tournaments. So for my Raven Guard I thought maybe I would do them on ice, but part of me wants the army to feel dark and on black bases. So with that in mind I decided to start playing around with crackle paint. You can get them on Amazon for about $7.00 a pot. I had some old bases hanging around that happened to be spray painted red. The application is supper easy. You just glop it on and let it dry and you end up with a pretty cool scattered earth feel for the black and a cracked ice effect with the white. I'm sure brown would feel like dried up mud. The more you put on the bigger the cracks. Of note you can see that the white leached the red up off the base and became a little pink, so for white you might need to seal it. 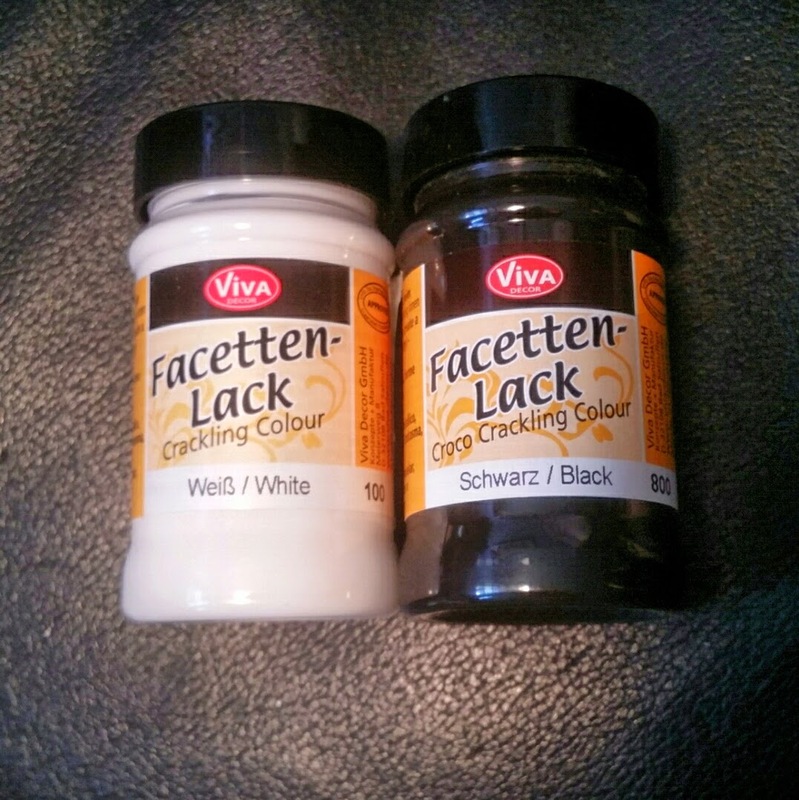 They both end up pretty glossy, which is nice for the white but the black feels kinda like obsidian. With a matte coat I'm sure it would feel more like scorched earth. In anycase, I think it's a solid basing technique that with a couple plants or rocks or snow or flock could really be quite nice. The white would be so awesome with a sealed blue underneath to give that ice sea feeling! Nice tip man!